Garage WP Theme is a powerful and Best Garage WordPress with attractive features. It has been designed with all the latest WordPress features you need for your garage door business website to make it more elegant and proficient with classical style included. The most powerful and Best Garage WordPress Theme created by landing, provide you an extra flexibility to create garage door website for handyman services speedily and stunningly as well as responsive. Garage door WordPress theme allows you to customize everything you need with single clicks, and with our landing page style, you can generate more leads from your site. Now you have a huge collection of Google Fonts in Garage Door Template to choose among a large set of fonts as well as system fonts if you prefer. Set font weight, use uppercase or lowercase, choose the font size. With Best Garage WordPress theme now you can create any sort of alteration with the settings of your site using the Theme Options, so you can see the changes instantly. Brand theme is 100% responsive, so it renders perfectly on any kind of device like mobile phone, LCD, Tablet. Font Awesome is integrated into the theme. With the help of Font Awesome, you can add easily more than 600 icons everywhere on your site. 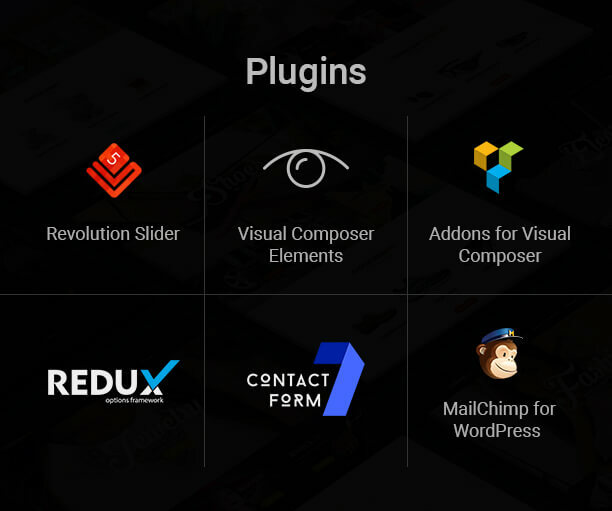 Garage Template supports fully all major WordPress plugins, including Woocommerce, bbPress and all major Page Builder (Elementor, Beaver Builder, Page Builder, etc). Garage theme is perfect for learners, with the help of several visual options, and is perfect for developers, with a lot of hooks and filters to easily build their next project. Garage Website Template is a complete responsive Premium WordPress Theme with powerful features, but smooth to use, Admin Panel and endless customization possibilities. Now you can create a complete corporate garage website, a personal portfolio or a professional looking landing page for garage door businesses in just a few minutes. It does not require any coding skills, but it also gives a lot of possibilities for experienced developers. 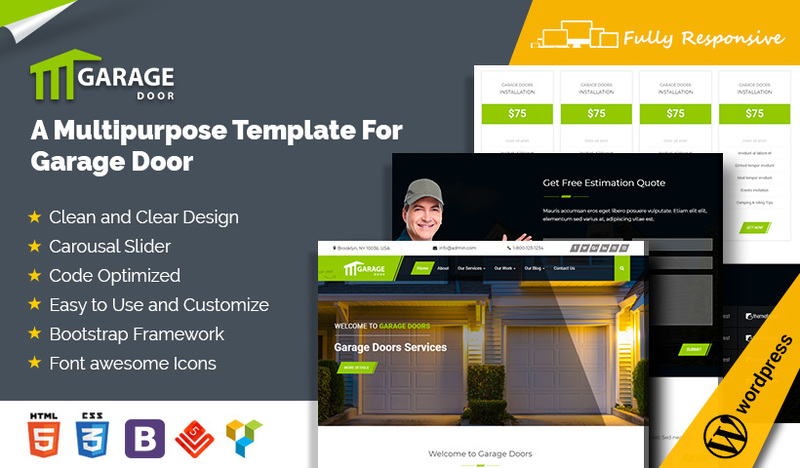 This template of garage door is a very easy, clean and powerful SAAS, Software landing page template for home pro service companies. With modern and stunning UI/UX elements, this works as landing page template with a perfect package for any of your web development. It allows you to add a full-screen video to the header on the front page to impress your users. Give your garage business more power with this stunning-looking WordPress Theme and use it for your business website. This is the best Garage Door WordPress Theme developed ever. This Garage door WP theme has ability to auto installation. Very flexible and mobile responsive them. I highly recommend it. Wow, Awesome Garage Door WordPress Theme I have bought. Easy installation and the best support. Best WordPress Theme. Easy Installation options. Professional clean design perfect for high-end client websites. Support for this item has been amazing! Very nice theme, people who helped me get the theme installed correctly. Highly Recommend! Nice Design and perfect theme, Really fast Customer Support, which also fixed a 3rd party Plugin without hesitation. Thanks!